Food Truck Friday/Artisan Night is NEXT Friday, April 19th! Earth Day at our next Food Truck Friday! 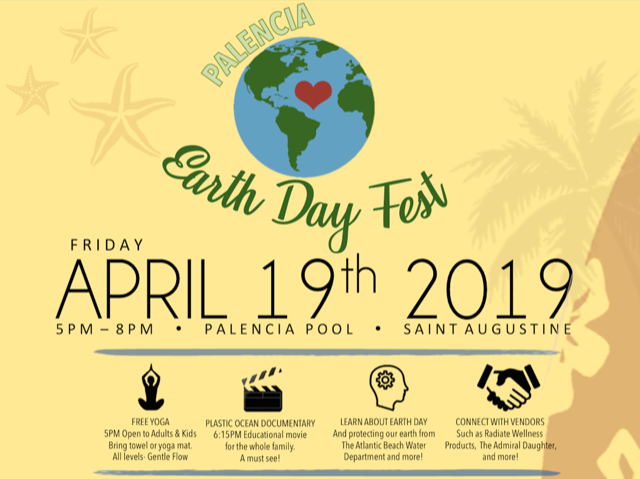 Not only will we have our Food Trucks and Vendors present but we will also be hosting a Yoga class on the Green behind the Family Pool along Palencia Club Dr at 5:00 pm, representatives from Guana Research Reserve, Hawks, Atlantic Beach Water Department, Radiate Wellness, The Admirals Daughters and 810 Showroom will be there to share information on the environment and overall wellness. We will also have Recycle information by Nease High School Students. We will have the bounce house and live music on hand as well. There is something for everyone next Friday. Come eat, save the earth and find some eggs!